The good thing about communities is that there are so many people willing to share, Etsy is a great community for sellers and Ravelry is for me the best place to meet crafters and discuss about any handmade subject, that is awesome. I have even joined a group of knitters in Amsterdam to meet up every week. I love it. One of my etsy-mates is sharing something she has named “Etsy Stock Take” every week, so I am taking part of it with my Red Lips hair clip. Feel free to take part of it! 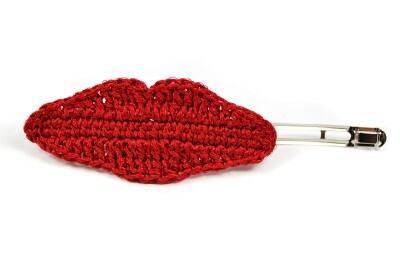 This entry was posted in Accessories, ArteSano, Crochet and tagged artisans, bezencilla, community, compras, crafts, crochet, etsystocktake, ganchillo, group, handmade, knitting, meetup, ravelry, red lips, shop, tienda, valentines day. Bookmark the permalink. Click on the latest week to take part. See you there soon!